When I first started VideoSchoolOnline.com, I posted a series of articles about creating better videos. This article is a combination of all of those articles in one spot. I hope these tips help you to plan, shoot, direct, and edit better videos. First things first, you need to pick a video subject. Maybe you already have one in mind. Maybe you’ve been wanting to make a video for your business. Maybe you are an inspiring Hollywood director and have a short film brewing inside. Maybe you’re a teacher and want to make videos to supplement your class content. Whatever your situation, picking a great topic is the first step towards creating a great video. My first advice is to know your audience. Knowing your audience will help you understand what video you are going to make. Types of audiences include: your friends, your clients, your students, the youtube community, the vimeo community, action sports lovers, cat lovers, crafty people, potential clients, parents, kids – you get the idea. Your target audience can be broad or very specific. The more specific you are, the easier it will be to make a video targeted to them. Case Study: You are a new hardware store in a small town and you want to make some videos to put on your website but you don’t know where to start. Who is your audience? Broadly, your audience is the entire town. More specifically, your audience is probably 18-60 year old men and women who do their own home improvements and yard work. Your audience isn’t the entire youtube community or the whole world. So what kind of video would be most beneficial? Since you are a new company, introducing yourself would be the first thing to do. So the first video could be an introduction video to your store, your staff, and your products. Or there could be three separate videos for this. People who don’t live in your city won’t be interested in this video and that is okay. You are trying to target the relatively small audience of potential customers. Of course if you are an online store, your audience would be broader. Still, an introduction or ‘about me’ video is always a good idea to have on your website. Say you want an even larger audience. You want to target anyone online that likes tools. This is a bigger audience than just your small town and this bigger audience could mean more revenue from online sales. What type of video would that audience like to see? Maybe they would like a review of the latest tool or gadget. This is something that a lot of people would be interested in, not just people in your town. Or you could make a how-to video about something – how to put up wallpaper, how to build a fence, how to grow herbs. These are all topics that could potentially get a lot of searches online. Hopefully with that case study you get the point. Picking the right topic depends on who your audience is. Pick a topic that you love. This is my second piece of advice. Making videos on subjects that you aren’t in love with is tough. I’ve done it before. Being passionate about your videos makes it a lot easier and more fun. Once, I was hired to make a video about a conference on new media disruption. Don’t get me wrong, the topic was interesting. It was all about how the cable companies rose and became media giants and how now internet video is on the rise. Platforms like youtube and hulu are new great places for video creators. Creators can make quite a bit of money now doing online video and how this is disrupting the former cable company oligopolies That being said the video was to be a wrap-up of over four hours of speeches and seminars. Lets just say that it wasn’t the greatest job ever and not loving it made it hard to stay focused. I wasn’t inspired to be creative and spending hours upon hours working on the video wasn’t fun. Nevertheless the video came out alright, but it probably would have been better if it was something I loved. My friends and I started another website called www.DOC360.org about travel documentaries and photography. This is something that I love and am very passionate about. Our first documentary that we created together was about an old baseball coach in Compton, California. I love baseball. I love inspirational stories. So this short documentary was something Ioved working on. When we were out filming, I took my time setting up great shots. I got creative and tried to be the best cinematographer I could be. While editing the project, I didn’t rush through it. I went back and forth with my friends comparing each other’s notes, trying to make the best film possible. In the end, it came out as one of my favorite short documentaries to this day.Because I loved the topic, I know that I worked my heart out making the best video I could make. So please, when choosing a topic for your next video, love it. Here is our DOC360 short documentary – Coach G.
Make videos about what you know. This is very important to make great videos. If you know a lot about the space time continuum, make videos about that. If you know a lot about cooking, make videos about cooking. If you work for a company that sells board games, make videos about board games. If you teach high school algebra, make videos about algebra. By knowing your topic, you cut out a huge task which is the research part. Now I’m not saying that you can’t make a great video about something you don’t know about. Heck, I made a documentary about cycling culture in Europe. I’m from Los Angeles. The only connection I had to that topic was my passion for cycling. It took a lot of time and being fortunate enough to study abroad in Germany to make my first great film titled Bike Life. You can view it here. But knowing your topic helps a lot. And its a good place to start when you are first making videos. Practice with what you know. Once you have gotten the hang of all the other aspects of video creation, you can move on to bigger and better topics. But for starters, make videos about your passions. Lastly, if you don’t know where to start, just ask. Ask your friends and family what they think you should make a video about. Ask your followers what they need help with and make a video responding to those inquiries. Ask your students where they are having trouble and make a video that clearly answers their questions. Even if you think you know what your topic is, ask. It’s always better to ask before you put in so much time and effort into something that people don’t want to watch. In film school, we had entire pre-production courses for our thesis films where we pitched ideas to our classmates, professors, and film industry workers. Through those pitches we learned a lot about what our topic should be. I even completely changed my video topics because of this. I am always able to refine my topic with the guidance of my peers. So if you are having trouble figuring out what to make your next video about, just ask. Congratulations, you are already off to making better videos! Those were my top tips for choosing a better video topic. I hope they helped a lot. Practice makes perfect though so don’t expect to make the next Citizen Kane with your first video. Don’t expect to have one million youtube views either. But do expect that if you follow all of these tips that you will have a great topic, which you love, with some sort of audience. So now that you’ve chosen a topic, it’s time to prepare for your video. Next time, we’ll look at better video pre-production tips! Planning out your video well is one of the best ways to make better videos. While you can improve on your camera work, lighting, sound recording, and editing skills later, the first thing you should work on first is preparing to make your video. I will be giving many tips in the following posts about all of those things. After you have chosen your topic, there are a few things you need to do before you actually go out and start shooting. This period of preparation is called pre-production. This is where you pre-produce your film. Just as if you were writing an essay, the more preparation you have, the better. Researching your topic is this first thing necessary with writing an essay or making a video. Make sure you know everything there is to know about your subject. If you’re already an expert on your topic, this step may be skipped. But it never hurts to do some more research. In fact, a good way to research is to see if there are any similar videos out there. If you’re making a video about adopting a kitten, do a quick google search to see if there are any other videos out there already. This way, you’ll know what has already been done. You’ll also know areas that you can expand on. You can also improve upon how they told the story, the way they filmed it, etc. Storyboard. Storyboad. Storyboard! This small process can dramatically increase the visuals of your video. I actually didn’t start doing this until recently. Storyboarding, the act of drawing out scenes in your video, is an essential part of making narrative films. But I never knew how beneficial it could be for creating documentaries, business videos, or even how-to videos. By storyboarding, you can have an idea of what your video will look like as well as have a cheat sheet for all of the shots you need to get while shooting. At the very least, if you don’t want to actually illustrate your entire video out onto a storyboard, you should create a shot list. This list should include all of the major shots you want to get for your video. Case Study: You’re making a video about adopting a kitten that includes an interview with an animal rescue clinic. You’ll also be following a young couple going through the process of adopting the cat. If I were to create a storyboard for this short video, I would actually draw out each scene in the order you imagine your video will be. For example, the first shot could be a wide shot of the animal adoption center or a shot of a small kitten in a cage. The second shot could be the young coupole entering the building. Draw out the shot (it doesn’t have to be precise, just stick figures will do) and underneath each drawing write out what is happening in each scene. Even if you don’t get all of the shots on your list, it is still a good thing to have while shooting. It’s always better to have an idea of what shots you want to get than to show up at a location and start shooting. Do a pre-interview. If you’re making a video that requires an interview, I always suggest doing a pre-interview with your interviewee. This can be done in person or over the phone. You can even do it over email. At the very least, if your interviewee is too busy, which I have run into many times, send them the questions you will be asking so they can prepare themselves for answering them on camera. Most people get nervous on camera. It is even worse if they have to answer questions that they don’t have answers to. By doing a pre-interview, they’ll be prepared to answer your questions with less ‘ummms’ and awkward pauses. This is also beneficial to you because if you know how your interviewee is going to answer, this may open up new questions that need to be answered. You may find that you have to ask the question in a different way. Or you may want to delve in further to a topic you didn’t know about. Double check your camera bag to make sure you have all your equipment. Charge your batteries the night before. Double check your lights to make sure they work. Print out maps of where you will be filming. Make sure to have phone numbers of anyone you may need to contact on the shoot. Print out any necessary release forms that need to be signed. Lastly, get a good night’s sleep before a big shoot. Making videos is a lot tiring than it may seem. You’re up on your feet, moving equipment here and there. So having a good rest and eating a healthy meal before shooting is one of the keys to success. It’s time to shoot. Check back next time for my best tips for shooting your best video yet. There are only so many things you can read to become a better cinematographer. Truly, the best way to shoot better video is to practice. With all things in life, practice makes you better. In film, practice is truly the only thing that actually makes you better. Even reading this article isn’t going to actually make you a better video creator. What will make you better is practicing and implementing the tips I give you into your practice. That being said, here are a few basic video-shooting tips that will get you ready for shooting better video. Do you already have a camera? If you do or if you don’t, this is an important tip for you. The type of camera you have doesn’t really improve your video. Whether you are shooting on your iPhone or on the RED camera, you can still make great videos. Some of you may be saying, ‘What are you talking about?! The Canon 5d Mark ii is way better than the Canon 60d.’ I will agree that the 5d has a lot more features, a bigger sensor, and more options when shooting a video. 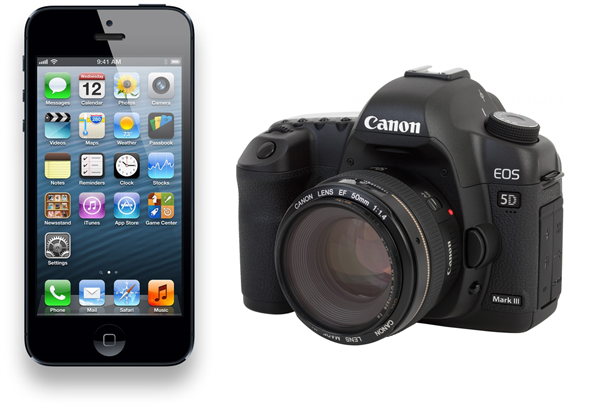 I do not agree that all of these features automatically make a video shot on the 5d better than a video shot on the 60d. So if you don’t have a camera and are in the market for one, my best advice for picking one is to shop within your budget. I’ve personally spent too many hours pouring over countless comparison websites. Which camera is best? Which lens is best? Canon vs Nikon? 5d vs 7d? What lens should I use? These are too many questions, especially if you are starting out. The quality of the cameras won’t dramatically change from one to the next. As long as you have an HD camera (definitely a must in today’s video creating community), you’ll be fine. If you have any concerns, just ask. The best thing would be to go to your local camera shop and ask. In Southern California, we have a small chain of Samy’s Camera shops. Everyone there is very professional and very knowledgeable about cameras. They never try to sell you on anything extra; they just give great advice. Hopefully you have a store like this near you. It’s always better to actually go in person rather than do all of your research online. You’ll even be able to check out the camera you want and actually hold it. You’ll see how to work it and if you have any questions, someone is right there to answer them. If you don’t have the budget to buy a camera, you can either rent one or borrow one from a friend. Use a tripod or a monopod. Don’t think that you’re going to be able to get great shots without one. It’s not impossible to do so, it is just highly improbably especially if you are new to video making. Aside from your camera, a good sturdy tripod is the next best piece of equipment to invest in. I currently own a $40 tripod from Best Buy that is meant for photography. It doesn’t pan or tilt well, but it holds my camera still when I need it to. This guy gets me through many of my own shoots but if I’m doing something professional like a wedding or a corporate video, I always try to get my hands on a tripod that has a fluid head. This allows me to get smooth pans and tilts, which add to the production value of your video. If you’re doing interviews or shooting business videos, most of your shots are going to be static (non-moving). So any tripod will do. If you are moving around a lot, doing documentary style shooting, a monopod is a good tool to have. I find that lugging a tripod around can get in the way of your surroundings. It takes a little while to set up. And when all you need is more stabilization than your arm, a monopod is perfect. Monopods allow you to run around with your camera attached to it. You can set it up in three seconds and still get great shots. So depending on your video style, make sure you have a tripod or monopod to stabilize your shots. Obviously if you are the only crewmember and you are doing interviews, you’ll need a tripod to hold your camera. If you don’t have anything at all, you can use a sand bag or stack of books to set up stationary shots. But hauling a bag of books around doesn’t seem too fun to me! Learn your manual settings. It is very easy to just turn on your camera and flip it to the automatic mode. But this limits you greatly. Your camera is just a machine. It’s a robot that doesn’t have an eye for moods or style. While your camera can judge how bright a shot should be and try to white balance your shot according to what it sees, it won’t let you overexpose or underexpose the shot if it is in auto mode. It won’t automatically know that you want a short depth of field or that you want to focus on the thing in the background, not the subject in the foreground. These are things that you do as a cinematographer. These make you a great video maker. So please learn how to use the manual settings on your camera. Sometimes your camera won’t have the perfect white balance option so knowing how to white balance is important. Usually it is as simple as holding a white sheet of printer paper out in front of the lens and pressing a button on the camera. Especially if you are using a DSLR camera such as the Canon 7d or Nikon 3000, knowing how to change the F-Stop is important. Also understanding what F-Stops (a.k.a. the aperture) is will help you become a better shooter. For a quick lesson – this has to do with how wide open or closed your lens is. The way lenses work is they have a hole that opens up wide to let more light in or closes to let less light in. If you are in a dark situation such as inside a building, you will need to let more light in to allow your video to have proper exposure. If you are outside in the sun, your aperture will be closed to let less light in. The confusing part is the higher the aperture, the smaller the hole closes. The lower the aperture, the wider it opens. Another thing to remember is if your f-stop is set wide open (lower number) then you will have a shorter depth of field. This is a stylistic choice when you want the background to be very blurry and the foreground to be super sharp. The higher the f-stop, the less depth of field there will be. This means more things in the frame will be in focus. This is how fast the shutter lets light in. In old film cameras this actually meant how fast, mechanically, the shutter would open and close to let light in… to capture images/video. With new cameras it is all done digitally. The slower the shutter speed, the more light will be let in = the brighter your video. So if your video looks too dark on screen, try lowering the shutter speed. Be careful about putting your shutter speed too high because your video will get a weird choppy look to it. For DSLRs you will have the option to change the ISO. This is a digital way or brightening your video. The ISO usually ranges from 100 all the way up to 3200 or even 6400 in some cameras. If you are shooting inside a building, you can crank up your ISO to 800 or 1600 to brighten up your video. But be careful of setting the ISO higher than 1600 because the higher you get, the grainier your picture will be. This is the downside of using ISO to make your video brighter. Of course, a grainy picture could be a stylistic choice of yours. Change the F-Stop and Shutter Speed before using the ISO to change how dark or bright your video is. These are all the basic manual settings you’ll need to know to get started. There are a lot more settings that you will run in to so make sure you have the camera guide with you if you’re out shooting. There are lots of online courses now that go over everything you need to know about DSLR cameras which seem to be the popular choice for professional and semi-professional video creating nowadays. This next tip perfectly follows shooting better video and actually works hand in hand with it. Lighting your videos properly is something that may take more time and definitely more money but it is something that will surely take your videos to the next level. It will raise them to a level above 99% of online video content. Like I said before, the best way to improve your video making skills is to go out and practice. This post is here to prepare you to do so. Use this as a beginners guide to video lighting. Even if you already know how to light videos, you may still learn a trick or two. 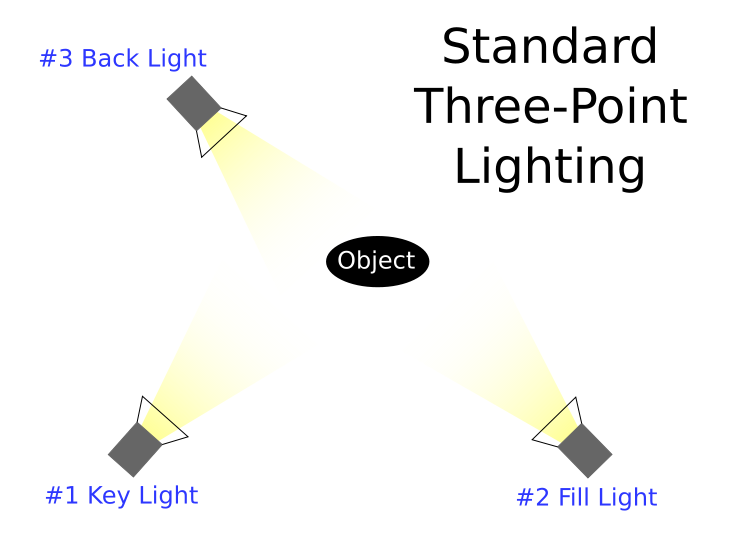 The Key Light: This is your main light source that you will use to light your subject/s. The Back Light: This light shines on the back of your subject’s head to create beautiful edges around you subject. The Fill Light: This light ‘fills’ in the rest of the frame that needs more light. Typically the key light isn’t pointed directly at your subject but rather at an angle. This creates shadows on the opposite side of the face and body. The fill light offsets those shadows. While there are many professional and semi-professional kits that you can buy, you can even create your own lighting kit at the local hardware store. I’ve seen people use work lights and china balls to create beautiful videos. So it doesn’t necessarily take hundreds of dollars to start lighting your videos. As always, purchase something that is in your budget and play around with it. You may be surprised with what you can do with a standard 200 Watt bulb and some gels. Gels are bluish, orange-ish, and sometimes white-ish sheets that go in front of lights to change the color temperature (make it warmer or cooler) of the bulb. Carry a reflector with you wherever you shoot. Before you even get lights, it may be a good idea to practice lighting with a reflector. A reflector is one of those big round shiny discs that you see photographers using. You can use reflectors to bounce sunlight onto your subjects face. You can also use it to block the sun and make sure your subject doesn’t have to squint. If you only have one light, you can use the reflector to bounce that light onto your subject as a fill light or back light. I always carry a reflector in my car on shoots just in case. They are way easier to carry around and set up than lights and sometimes you don’t have electricity to use lights anyways. Make sure all of your lighting is one temperature. As you may or may not know, all light has a temperature. Some is warmer than others and some is cooler. You probably have noticed this when you switched from the old halogen bulb to new energy saving ones. The old bulbs have a yellow-ish tint to them. The new ones are bluer or white. Filmmakers uses the Kelvin scale to rank lights from warm to cool. Pure sunlight is 5600 Kelvin while old light bulbs are 3200 Kelvin. The most popular and cheaper lights are 3200 and the more expensive ones are 5600. Go down to Home Depot or Lowe’s and you can see all the different bulbs and their specific temperatures. The biggest thing to remember is to try to use the same temperature of light throughout your shot. Don’t mix and match different lightbulbs or this will make it impossible to properly white balance your video. You can even use gels to change a light’s temperature (i.e. turn a 3200 tungsten lightbulb into a 5600 one). So carry around some gels that you can pick up from your local photography store or online. It may be hard to only have one lighting temperature when you are shooting inside a building. You may have 3200 Tungsten lights but sunlight, which is 5600, is shining in through the window. If you white balance to the more orange tungsten lights, the light coming in from the sun will look very blue. If you white balance to the sunlight, the light coming from the light bulbs will look too orange. You can easily fix this by adding some blue gels to the lights inside. At the very least, use a regular desk lamp to light your subject. Nothing is worse than trying to watch a video where you can’t see your subject. Your camera may try to compensate for the lack of light by raising the ISO but this creates grain and makes your video look like garbage. Especially if you are shooting interviews inside or doing some sort of product promotion, try to light your set with whatever available lights you have. All of this being said, you may not need to light your video if there is enough available lighting. If you are shooting outdoors, lights are probably impractical and unnecessary. But make sure you bring your reflector! Practice, practice, practice. Try multiple lighting set ups before you actually shoot your video. If you are going to shoot an interview, set up and ask an assistant to sit in for the interviewee while you set up the lights. Search online for DIY lighting kits to find some more great tips for making your own, bare-bones, guerilla style kit. Audio is often overlooked when making your first videos. After all, video is all about what you see on the screen right? Wrong. Audio is just as important as what is on screen. Nothing drives a viewer more insane than having to decipher what is being said. So here are a few quick tips on recording better audio. Use a microphone. This may seem simple enough but believe me, I’ve seen lots and lots of people try to get by without using any sort of microphone. Camera makers may claim that their built-in microphone will capture crystal clear sound. This is false. Unless you are in an airtight room with no outside noise, you won’t be able to get great sound with an on camera microphone. What type of microphone should you get? There is the standard shotgun microphone often paired with a boom pole and directed at the subjects mouth. These microphones can cost thousands of dollars. I purchased my first shotgun mic off of ebay for around $20 and it worked well… until I got my first lavalier microphone. If you are doing interviews or have someone speaking on camera (not acting in a narrative film though), using a lavalier microphone is my preferred option. Also known as a lapel mic, these clip onto a subject’s shirt or jacket and easily pick up their voice. You can also easily hid them underneath shirts, scarfs, collars, etc. I started with a wired lavalier microphone but graduated to a nice wireless set that I use all the time now. Sennheiser makes the best microphones but they can be quite pricey. Another decent brand is Azden. They are cheaper and sometimes feel cheaply made but still get the job done. Another option is to get an audio recorder like the Zoom H4N or one of the Tascam recorders. The Zoom H4N is a great tool which acts as a microphone and recorder in one. I use it to record quick sound bites when I don’t want or need to set up my wireless set. The H4N costs around $300 and is well worth the investment. When using my wireless microphones, I plug them into the H4N and record directly to a micro SD card. The H4N allows me to set levels and record perfect audio with or without the lavalier microphones plugged in. Unfortunately with my DSLR camera, I can’t plug the wireless lavaliers directly into the camera so having the Xoom H4N is necessary. So first things first, plop down the $25-$50 to get your basic starter microphone and it will dramatically improve your video quality. Your viewers will love you for doing so. Listen. Before you hit the record button, listen to your surroundings. Is there an air conditioner running? How loud is the traffic? What other noises do you hear? Do this because if there are loud noises that you can’t stop by closing a window or moving your subject, you may need to change locations, especially if you don’t have a good microphone. You’ll be able to get rid of some of the extra noise through editing, but not all of it. So do yourself or your editor a favor and pick a location without too much noise. Bring headphones. You won’t be able to tell what audio is recording without listening to it. So bring a good set of headphones (noise-cancelling ones are the best) and before you record, do some practice takes. Have your subject count up to ten to make sure they are being recorded at the right levels. By putting on a pair of headphones, you’ll be able to hear noises that you might not have heard without them. If you are the one manning the camera throughout the shoot, it is best to keep your headphones on throughout the filming. You will be able to tell if the car rushing by or the airplane in the sky caused too much noise and you need to reshoot. It is one thing to see your levels bouncing up and down on your camera or recorder, but unless you are actually listening to the sound with your two ears, you don’t truly know what is being recorded. I hope these three tips help you to record better audio. They sure helped me and now I always try record my videos with a microphone. Your audience will truly love you for doing so. So now you’ve shot your movie. You have all your footage on a hard drive. You’re ready to actually turn all your hard work into something. What do you do next? Within these folders you can organize a level deeper. In the Audio folder make folders for music, voice over, interview, etc. depending on what you have. Within the Video folder you can organize your footage into the days you shot it or the different scenes. If you have any still images you can organize them by subject or by date shot. The way you organize is up to you. The key is to organize everything so you know where everything is. Once you start exporting versions of the video, make sure you add a version number so you know what your latest version was. For example, I use the format projecttitle_version# (baseballdocumentary_v1). When I export an updated version, I just change the version number. This way I can easily find the latest cut. It is hard to give one tip to make you a better video editor. And rather than try to teach you everything there is to know about video editing, I’m going to assume that you have a grasp on editing videos. If you don’t, check out my Video Editing 101 course by clicking here. It is a great course for anyone new to video editing. Transitions with a purpose. Different transitions should be used for different purposes. Don’t always fade in and fade out of everything. Don’t use that crazy 3d spin transition or whatever latest gimmicky transition is included in your editing program. Subtlety is the key. Editing should be invisible. An editor’s job is to seamlessly put together a video that is enjoyable to watch. If your viewer is thinking about the editing, it probably means something was jarring. So keep in mind the goal of trying to be invisible. Use audio fades. Audio fades can decrease those sound jumps and jarring audio cuts that tend to happen. Just add a 5-10 frame audio fade to smooth this out. Use titles but don’t go overboard. Adding titles to the front and back of your videos can add a higher production value to your videos. Keep them short though, especially for web videos. People don’t want to sit through 30 seconds of titles to get to the video. Seriously, 5 seconds is long enough. Or just use end titles and get straight into the content of your videos. Add lower third titles to your subjects. These titles, shown at the bottom part of the screen when someone is talking, give more information about that person and qualify them as someone the viewer should be listening to. Pick the right music. Using the latest hit might make your video seem cool, but it probably isn’t the right choice. Music without lyrics is the best because if your song has a singer, their voice will compete with the video audio. Make sure the audio level of your music isn’t too loud. It’s hard to watch videos if you can’t hear the people talking over Justin Beiber’s latest hit. Think about why you are using this shot. Each shot you put on your timeline should have a purpose. Make sure that whatever is being talked about is shown on the screen with broll footage. If what is being heard doesn’t match what is being seen, fix it. Only use the best shots. Be patient. Editing takes a while and sometimes you have to go through 4, 5, 6+ versions (a.k.a. cuts) of your video before you have a great piece worth sharing. Remember that it is your job as an editor to fix anything that went wrong while shooting. Whether it is camerawork, lighting, or audio, there are bound to be problems that you will need to fix. So be patient and do the best you can. With practice, you’ll be able to fix most problems. Have your friends watch and critique your video. You may think your video is done and perfect but sometimes we get so closely attached to our projects that we miss small things that should be changed. Having a friend or colleague watch your video and give you notes is a great way to improve your final product. Be open to any criticism they may have. I know this is hard. I’m a stubborn person in general and having to listen to someone else critique my projects is sometimes very hard. But I know it is always for the best. You don’t have to take everyone’s notes and make changes. But having them is better than not. If you think about it, this is how all businesses are run. Ice cream makers don’t just send out new flavors without testing them and having many other people test them. This goes for major films too. After any Hollywood film is finished, they usually do screenings for private audiences to give feedback. This is crucial for production companies who want to make a great film for their target audience. Sometimes entire scenes can be cut out or endings can be changed because of these screenings. Awesome! I hope you enjoyed these quick video-editing tips. I’m sure you’re a better video editor because of them. Check back next week for the last tip in this series about how to better market your video and get more views! Now you have completed your video. What next? Depending on your audience, there are a number of ways to distribute your video. In other words, there are many ways to get your work out in the world for eyeballs to see. Most of you are looking to get as many views as possible and don’t just expect to have your family and friends watch your video. So in this section, I want to go over the main ways to get your video seen with some tips that will increase the number of views. First, I want to talk about preparing your video for distribution. This could have been put in the end of the better video editing section as well. Exporting your video the right way is very important. You want your video to be the highest quality possible without the file size being too large. It would take me too long to go through each video editing program and the different export methods, so I’ll give you a few tips that will increase the quality of your video and decrease the size. These are universal tips for whatever program you use. Export as a Quicktime Movie. These H264 Codec files are smaller than other file types and still pack a punch with great quality. Whether your program uses the .mov or .mp4 file name doesn’t matter. This is just the container that holds your movie. The real thing to pay attention to is using the H264 codec. Export as ACC audio. This will decrease the size of your video compared to WAV and still be great quality. Change the data rate. Have you ever noticed the ‘limit kbps’ option? This option allows you to limit the data rate of your video. Vimeo suggests setting that option to 5000. This dramatically decreases the file size compared to leaving this section blank. For youtube, this depends on the size of your video. For 1080p, 8000 is the suggested bitrate. For 720p, 5000 is. The reason Vimeo suggests 5000 because as of now, their highest quality is 720p. Once you export your video, you have hundreds of websites to choose from to upload to. But there are basically two that you should be thinking about: youtube and vimeo. Youtube is the most popular video sharing site – so popular that it has become the second largest search engine in the world, just beneath Google. Youtube has a greater potential for more views because of this, but you can also be lost in a sea of content.Vimeo is the artistic sibling to youtube. Vimeo is meant for creatives who want to share their work with people who will actually appreciate it for its artistic qualities. So don’t expect to get millions of views on Vimeo. However, you will find a more engaged and thoughtful community. Proper Titles: Make sure you use your keyword (the main subject of your video) in your title. So if you are making a video about brewing beer, make sure that the words ‘Brewing Beer’ are in your title.Also, the first words in your title count for more SEO (search engine optimization = more views) than the one’s at the end. So front-load your video title with the more important titles. One technique is to search for similar videos and then use similar titles and use it as a template. Also, make sure your title is catchy, something that you would want to click on. Write a solid description. Youtube descriptions, while not always read, help a lot when it comes to ranking your video. Make sure to include the keyword within your description – in a natural way. Don’t just repeat ‘brewing beer brewing beer brewing beer…’ Youtube’s algorithm is pretty smart and blocks out these spammy videos from ranking well. Include links to your website in your description. Put your most important link at the top so that it automatically shows without the viewer having to click the ‘Show More’ button. Tag it correctly! Put your keyword as your first tag, then add any related tags to your video. So for brewing beer your keywords might be: how to brew beer, making beer, beer making, beer brewing, diy beer, how to make beer, IPA, lager, cerveza, etc. Share it fast! Youtube likes new videos and will give them a better chance to rank higher when they are first uploaded. So before you upload, plan out how you are going to share – via facebook, emailing your friends, tweeting about it. Talk to fellow bloggers to see if they would share your video once uploaded. Then once you upload it, blast it out to your circle of friends, family, and contacts. Use your video as a response to an already popular video. Just go to a video that you like then click to add a comment. Underneath, a ‘Create a video response’ button will pop up. Once you click here you will be able to select one of your uploaded videos or record a new one. By selecting your recently uploaded video, it will show up as one of the video responses underneath the popular video. This will get you more eyeballs viewing your video. Encourage interaction. This is probably the biggest and best way to get more views. Unless your video is getting commented on and being shared across the web, you won’t get more views. Unless your video topic automatically lends itself to be sharable and commented on, you need to ask your viewers to do so. Do this in multiple places. In the description ask your viewers to comment on something they liked about the video. Ask them to share on facebook. Using youtube’s annotations you can ask people to share, subscribe, or continue on to your other videos. This is a great way to get more views. If you are making a video where you are the main subject, you can even ask your viewers to share, comment, like within the video itself. Then of course when you are posting your video on you facebook wall, tweeting it, etc, ask your followers to comment on it. This will start the conversation and hopefully if you video gets some viral appeal, the comments will flood in. If you follow all of these tips, I assure you that you will get more views. I’m not promising that you’ll get millions of views and be the next youtube sensation. I am saying that there is a certain process for attaining more views and rushing to put your videos out or slacking on completing your description and adding annotations result in lost views that are incalculable. There is one other thing that I haven’t talked about that will get more views. That is producing quality videos. Of course there will always be the shaky-cell-phone-camera video of a monkey riding a dog that gets 10 million views. Those always make me wonder, ‘How in the world does that video get THAT many views? !’ If that is the kind of video you want to make, then you’re in the wrong place. High quality content thrives on the Internet. Whether it is written word, video, or photos, high quality content has absolutely a better chance of getting more views than the same content shot without a tripod, no microphone, poor editing, and lack of lighting. So make sure you follow all of the previous tips to create high quality videos before you post them for the world to see and share. With this last post, you have Video School Online’s top tips for making better videos. I hope you have learned a lot by reading them. Now it is time to take action. So go out there, pick up your camera, and start shooting! I hope you’ve enjoyed this guide to creating better videos. Interested in taking it to the next level?